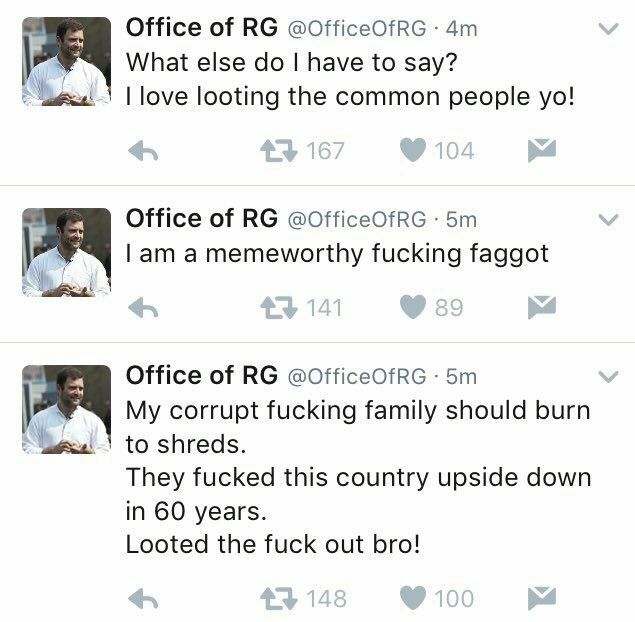 The official Twitter handle of Congress vice president Rahul Gandhi appeared to have been hacked on Wednesday evening with about a dozen offensive tweets being posted within a few minutes. The first six tweets, called “low tactics” by Congress spokesperson Randeep Surjewala, were deleted shortly after being posted. The handle seems to have been hacked by a group called ‘legion’, according to one of the tweets. Gandhi’s Twitter bio was also altered to read “This is the official account of the Office of Retard Gandhi”. Hackers reportedly posted abusive messages regarding the party and as well as Gandhi family. The account was restored shortly. The account was restored shortly. But soon after it was again hacked for the second time and named Retarded Gandhi. However, now his account has been recovered. 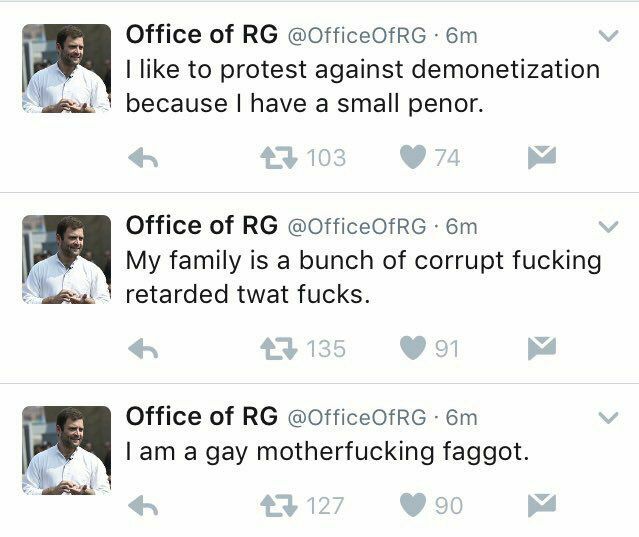 @OfficeOfRG hacked. Such lowly tactics will never drown the sane voice of reason nor deter Sh. Rahul Gandhi from raising people’s issues. The tweets contained obscene language and also reflected on the alleged corruption charges leveled against the Congress party. 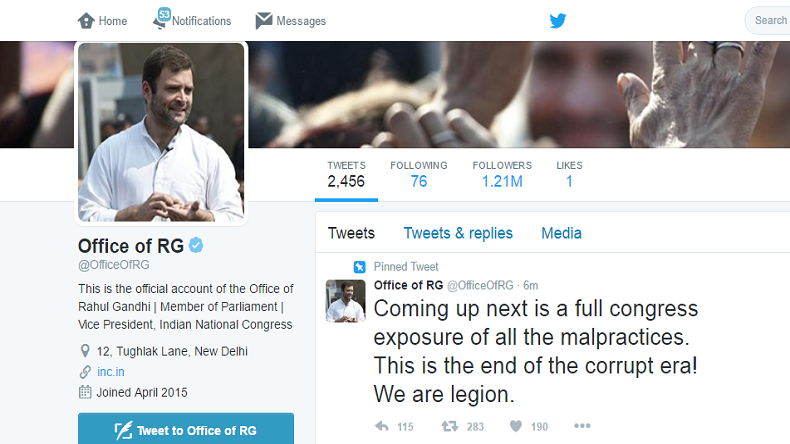 Office of Rahul Gandhi continuously deleted obnoxious tweets, however, the unknown hacker kept on tweeting. 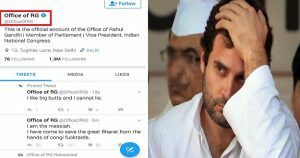 Still, the official twitter account name of Rahul Gandhi is not changed. Also Read: Shilpa Shetty Got Trolled On Twitter For This Hilarious Reason!